5 top TVs take home What Hi-Fi? Awards 2018 | What Hi-Fi? Competition between companies is great for consumers, which is why 2018 has been such a brilliant year for TVs. Ultimately, though, LG has weathered the storm and emerged victorious in the 55in and premium 65in categories with its OLED55C8PLA and OLED65C8PLA models. The company’s sets arrived early in the year with what appeared to be individually incremental upgrades over last year’s models. Collectively, though, these upgrades amount to a noticeably better picture than the already-awesome one of its predecessor - and it's proven yet more consistently brilliant as each new rival has arrived and been defeated. If you’re after a massive telly but can’t afford to go OLED, we’ve got a winner for you, too - the Sony KD-65XF9005. This is a great example of Sony’s fantastically natural colours, superb detail and masterful motion processing, blown up to 65in and with a price tag south of £2000. Truth be told, it’s been a rather poor year for small tellies. Most manufacturers simply aren’t particularly interested in supplying them for review, and those models we have managed to get into our test rooms have invariably disappointed. Thankfully, while there’s no small TV that we like enough to give an Award, there is an exceptionally affordable TV that we absolutely love. The Philips 50PUS6703 is an astonishing bargain. Its predecessor, itself only reviewed by us at the start of the year, redefined expectations at this price, and the ‘6703 presses the point home in emphatic style. A 50in display, 4K, proper HDR and Philips’ beautiful Ambilight tech, all for well under £500. 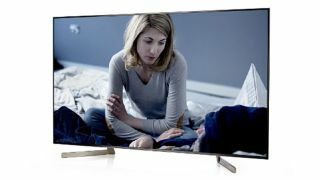 To get a significantly better telly you need to spend more than double that - which is where the Sony KD-49XF9005 comes in. It gives an inch away to the Philips, but is more feature-packed and sophisticated, bringing its 65in sibling’s qualities to a size better suited to the average UK living room. There’s no better telly at 50in or below.